SOLUKHUMBU, Feb 28: The Rs 210 million worth of royalty from tourism has been sitting idle in the bank account the then District Development Committee (DDC) of Solukhumbu. Along with the state restructuring process, there has been much confusion about the responsibility to collect and utilize royalty at local levels. The DDC that used to raise tourism revenues in the then existing system of governance, was unable to spend even half of the Rs 400 million that it had raised in FY2015/16. With no specific instruction from the Ministry of Federal Affairs and Local Development regarding disbursement or expense of the money, it sits stagnant in DDC's bank account. 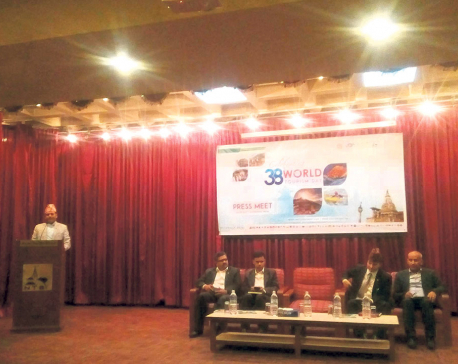 District coordination officer, Krishna Prasad Sapkota, said that if the ministry gave permission to mobilize the fund, it could be used for infrastructural development of the district. Sapkota stated that District Coordination Committee (DCC) Solukhumbu had already asked the ministry to allow it to make use of the money. DCC coordinator Bir Kumar Rai, giving seconds to Sapkota, added that these funds would be important for the development of the district if used properly. Meanwhile, ministry spokesperson Rudra Singh Tamang explained that the funds collected from royalty will be distributed among all the three levels of the government, with 50 percent of the amount going to the central government and the rest 50 percent will be distributed among the federal and local levels. Out of the 14 districts of Province 1, Solukhumbu is the most important one from the tourism perspective. The district boasts of half a dozen peaks -- the Everest, Lhotse, Nuptse, and Aamadablam to name a few -- which has been attracting tourists along with tourism revenue. 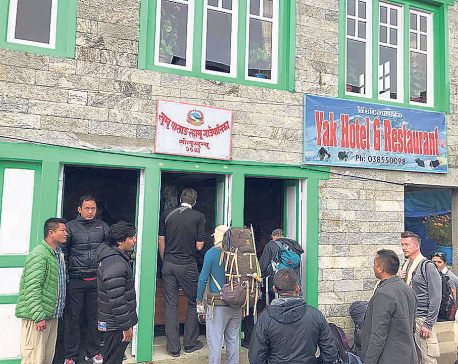 Hundreds of tourists visit the district intending to scale the highest peak in the world, the Everest, whose revenue alone can go up to Rs 300 million a year. 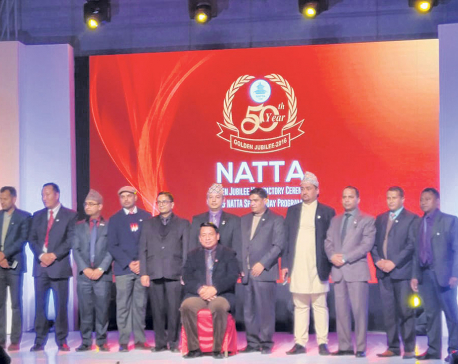 The government collects between Rs 15,000 and Rs 75,000 from each Nepali climber scaling the Everest and between Rs 250,000 and 1.1 million from foreign nationals. As per schedules 7, 8 and 9 in article 57 of the Constitution of Nepal, the funds collected from tourism royalty should be distributed among all three levels of the government. Prior to the reinstating of local levels, the Ministry of Federal Affairs and Local Development used to take 70 percent of the total royalty, leaving 30 percent of the amount to the concerned district for the purpose of tourism promotion. While Aamadablam is the most scaled peak in Nepal, Everest is the most expensive to climb.